Burnside; Atkinson; Lindenburn; Wrigleworth and Kirby. The unidentified fellow in the pilot house anticipated the male models who would promote Marlboro cigarettes beginning in 1954 (except they would wear Stetson cowboy hats). Hull built by Midland Barge Company, Midland, Pennsylvania, the rest completed at Cincinnati, 1924 This boat had a double cabin, parlor rooms, baths, separate dining room, steam heat and all the trimmings. She was designed by marine architect Tom Dunbar as a single-cabin packet for the Cincinnati-Louisville trade. Before completion, the stateroom capacity was vastly enlarged by the building of a second passenger cabin. The original cost of this boat was $417,000 of which she made back about $200,000 in the first eight years of operation. 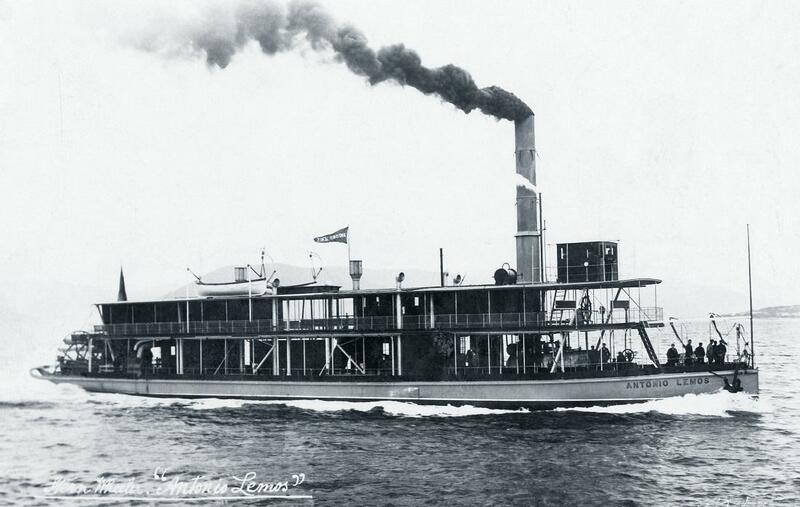 The boat was owned by John W. Hubbard, Pittsburgh and operated by the Louisville and Cincinnati Packet Company. She made Cincinnati-New Orleans Mardi Gras trips without a break from 1924-1930 and cleared $40,000 on her first Mardi Gras trip. She was in Pittsburgh on several occasions, and brought the 31st annual convention of the Ohio Valley Improvement Association there in October, 1925. She appeared for the 1929 celebration of the completion of the Ohio River locks and dams. Her principal business was regular summer operation in the Louisville-Cincinnati packet trade. On May 24, 1928 while between Carrollton and Madison, she collided with the mv. BELFONT and engineer Homer Johnston was killed. Hard times came with the Louisville and Cincinnati Packet Company having financial troubles. 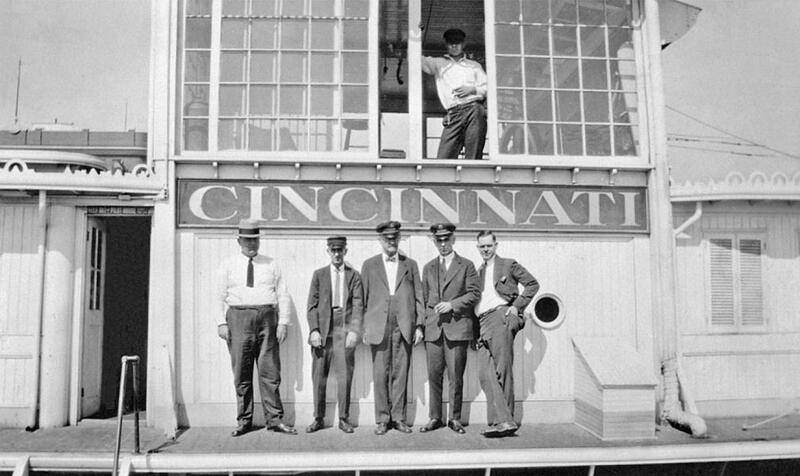 In 1932 the CINCINNATI was sold to Streckfus Steamers, Incorporated, St. Louis. Streckfus tore her down to the hull and built the superstructure for their excursion boat PRESIDENT. The height & build, plus the noses, mouths and chins of both of these young men's faces suggests that they were brothers, perhaps twins. 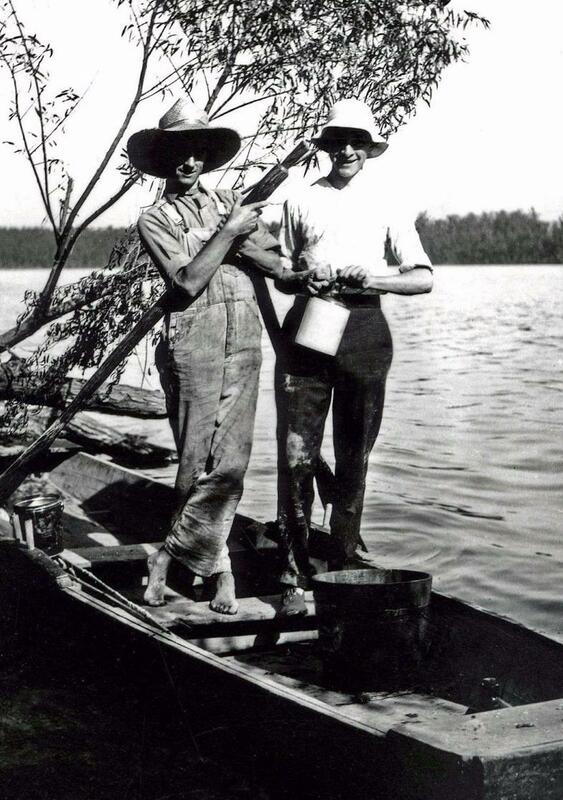 There are bamboo fishing poles in the skiff they're standing in, the jug may still contain corn liquor or could have been employed for the "jugging" technique of fishing. Young feller on the left's fashion statement of wide straw hat, bib overalls and bare feet is a classic riverboy/riverman's wardrobe. This image will be right at home on the Huck and Tom pages. "In my experience, this type of fishing has always been called "running a trotline" and the advent of plastic one-gallon milk jugs has greatly facilitated it. It's a good way to catch a hundred pounds of fish in a short period of time with very little effort. Angling has never appealed to me though I did participate frequently as a boy. Generally, I recall the experiences as being too hot, too cold, too muddy, too little response from the intended prey, too many knots in the line, too many mosquitoes, and, once returned from the foray, you had to clean the darned things. The thrill of the catch is a strong recommendation but I grew up in a generation of grocery store convenience where the obtaining of bounty was no longer celebratory." "THANKS FOR THE PHOTO OF THE TWO BOYS IN THEIR FISHING BOAT. ALL THE FISHING CAMPS ON THE WARRIOR RIVER HAD HOMEMADE JOHN BOATS LIKE THIS ONE WHEN I WAS A KID AND MY FATHER AND I WOULD GO TO ONE OF THE CAMPS AND RENT ONE FOR $2.00 A DAY AND SET OUT A TROT LINE AND LEAVE IT TILL NEXT DAY WHEN WE WOULD GO BACK AND RUN IT. SOMETIMES WE WOULD GET LUCKY AND CATCH A GOOD SIZE CATFISH. I DON'T THINK THE JUG IN THIS PICTURE IS FOR JUG FISHING. DRINKING WATER MOST LIKELY THOUGH IT COULD BE WHITE LIGHTNING. THIS PICTURE LOOKS POSED SO I DON'T KNOW IF THEY ARE TRULY GOING FISHING OR NOT. IF THEY ARE NOT TWINS THEY SURELY ARE BROTHERS. MY DAD HAD A SMALL 5 HORSE OUTBOARD MOTOR WE WOULD TAKE TO THE RIVER WITH US AND PUT IT ON THE BACK OF THE BOAT WE RENTED. THOSE WERE THE GOOD OLD DAYS AND I LOVED IT." The Basics of Jugging For Catfish - Techniques and TipsBy: Daniel EggertsenJugging for catfish is a great way to catch tons of fish, with a minimum of cost or effort. You'll see it sometimes called 'juglining,' but it's the same thing. It basically involves putting a bunch of jugs out there in the water that have a line running in between them, and on that line are your hooks. 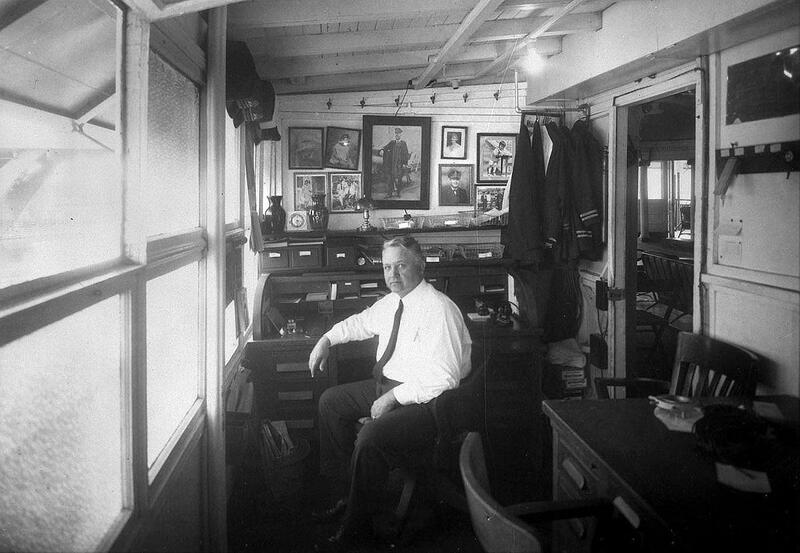 Excellent photo of Purser Ray McKay in his office with a blurry "ghost" of a clerk who moved during the time exposure was seated behind him. 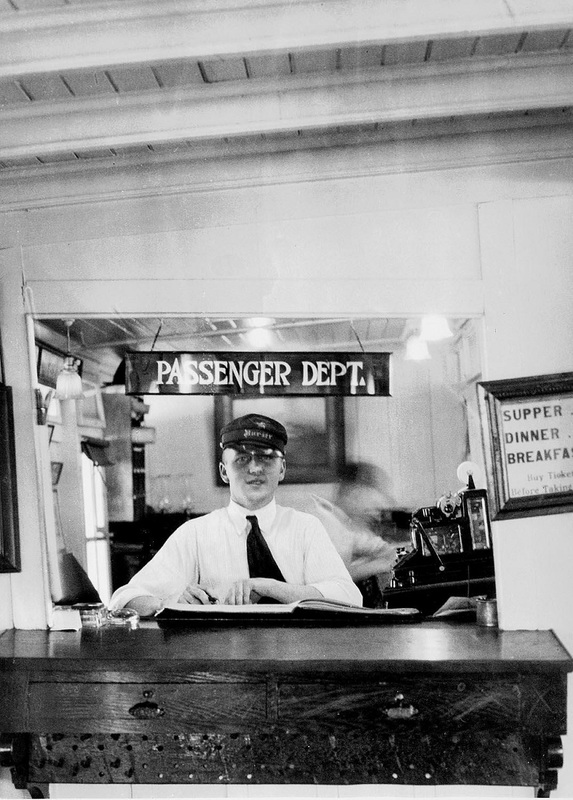 Sign "PASSENGER DEPT" overhead and framed list of tickets available there for "supper, dinner & breakfast" but prices are cropped out on the right. A distinctive "Dutch angle" tilt to the frame of the window opening is typical of steamboat architecture inside and out. Captain Roy Streckfus sits at his roll top desk in the more plumbed up office of the CAPITOL in the second photo. Uniform coats hang next to the door, uniform caps above the window and family photos as civilians and steamboat officers are displayed above the desk. The slant to the beams in the ceiling overhead are typical steamboat in style. Main cabin glimpsed through doorway and a bridge through the window. Steamboat Benjamim Guimarães, was the hero of Velho Chico 100 years ago. 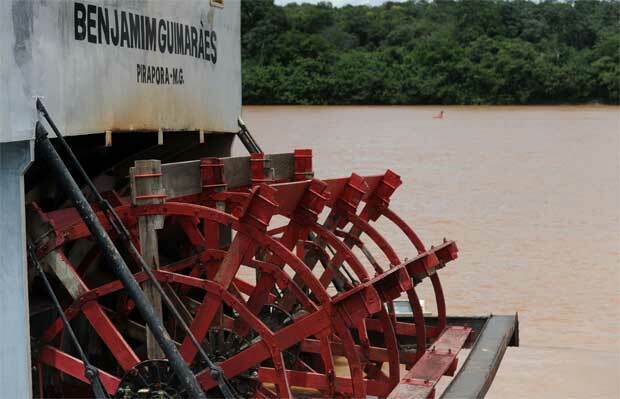 Broken down, the steamboat Benjamim Guimarães celebrates 100 years in precarious conditions. Pirapora - Less than 50 centimeters from the water, on the wooden deck, passengers would clutch where they could to cross the rapids of the São Francisco River that burst on the rocks between Sobradinho and Juazeiro, in Bahia. In the north-Minas Gerais section of Velho Chico, from Pirapora, the forró ran the nights on the second floor of the boat, with lively students and travelers breaking the silence of the hinterland. 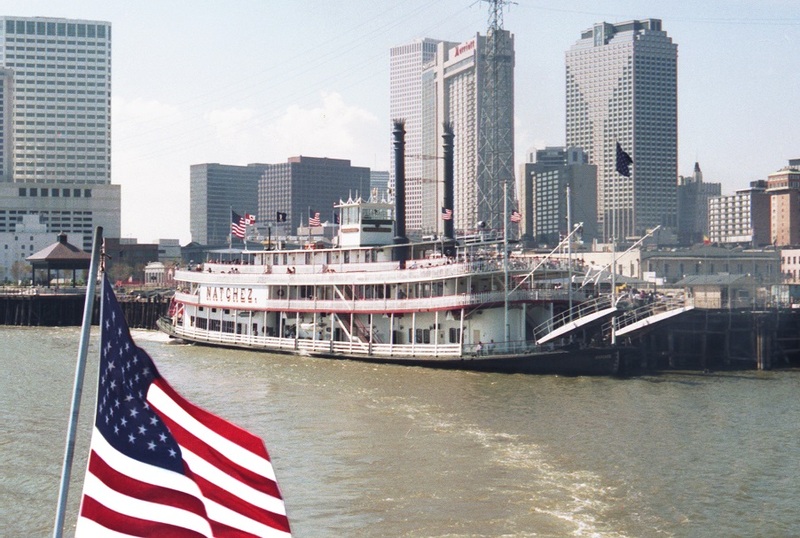 Pathfinder of the Americas, steam Benjamim Guimarães sailed the Amazon and Mississippi, in the heart of the United States, transporting coal, cotton, and wood from Minnesota to the port of New Orleans. Witnessing the history of these peoples, the ship Benjamim Guimarães reached the centenary this year, but without the splendor of his celebrated days. Broken, anchored in the port of Pirapora with cracked wood, peeling paint and precarious hull, it no longer descends the river for trips lasting more than three hours (36 kilometers) - far short of the almost 30-day trip to Juazeiro (BA) And back, totaling 2,700 kilometers. If the ship is not reformed soon, it will be modest to commemorate its 100 years. The state of São Paulo State Historical and Artistic Patrimony Institute (Iepha) took place in 1985. The current crew reports that renovations are needed every two years so that the steam can repeat the traditional 1,371-kilometer journey between Pirapora and Juazeiro. The last intervention - incomplete, by the way - occurred in 2007. The Pirapora City Hall, which owns the steam, rushes to restore it in the second half of the year, thus making the commemorative trip to Juazeiro at the end of the year. "In April, we will try to approve in the Law of Incentive to Culture the complete reform project of Benjamim Guimarães, which was approved by Iepha and already has interested companies," says Anselmo Luiz Rocha de Matos, financial director of the Municipal Tourism Company of Pirapora. The cost was estimated at R $ 1.3 million. "The ship is our greatest asset. We receive tourists from all over the world and with this we move the economy of the entire city, "reports Matos. According to Iepha, the conditions of the ship would be "good" and there is no forecast for retirement or specific celebrations of the centenary. Photograph of the ANTONIO LEMOS circa 1900 and a model of the boat from the National Maritime Museum The differences between photos of the actual boat and the model are probably the result of remodeling done in Brazil after the boat arrived for service. Scale 1:48. A contemporary full hull model of the 'Antonio Lemos' (1900), a stern paddle steamer. Constructed in the builder's style, the model is decked and fully equipped and mounted on a modern baseboard. Built by Lobnitz & Company, Renfrew, it was designed by the Faversham firm of James Pollock & Sons and measured 171 feet in length by 30 feet in the beam with a tonnage of 300 gross. 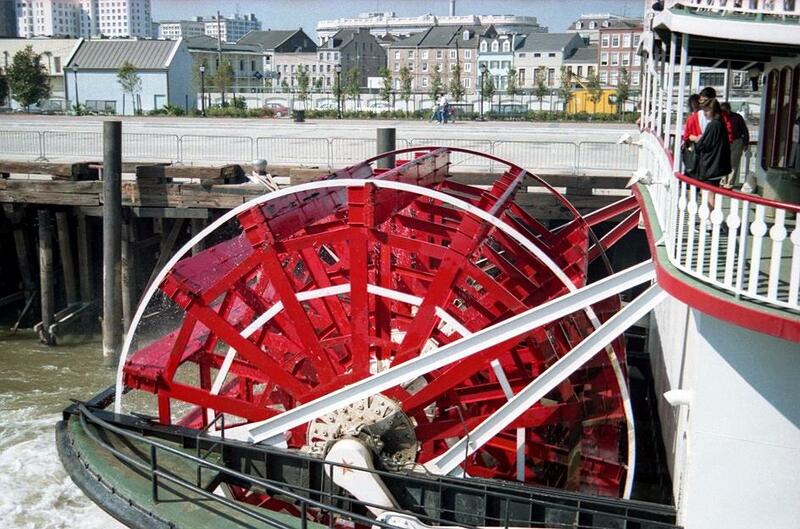 The 'Antonio Lemos' was powered by a non-condensing horizontal steam engine driving a stern paddle wheel at a top speed of 12 knots. A number of British shipyards specialized in the South American market and this stern paddle steamer is typical of a large number being produced to deal with the large volume of river trade, especially for Brazil, which was enjoying a boom in the rubber trade. This vessel was owned by the Amazon Steam Navigation Company, Para, and went out to Brazil under her own steam, sufficiently boarded up to protect against bad weather during the passage. She was eventually lost in Brazil in 1904. Built by shipowners James Rees Sons & Co. in 1913, it is not known the month of baptism of the ship. He arrived in Brazil to serve the Amazon River Plate Company, on the Amazon River. Along the rails of Central do Brasil, it was dismantled to Pirapora in the late 1920s and named after the owner of the company, Júlio Mourão Guimarães. It would be destined to the transport of passengers in the first and second classes, besides pulling towed boats with firewood, cattle and other types of cargo. In 2004, Benjamim Guimarães returned to the São Francisco River after spending decades without surfing. Currently, he rides on Saturdays and Sundays, with tickets at $ 40. During the carnival holiday, three rides are planned, except on Friday. Forró On the wooden ramp that connects the port to the ship, just talk to the crew to be transported to the golden times of steam navigation. The oldest active crew member is Petronílio Santos Silva, 71, who has been on board since 1973. Responsible for serving the first-class cabins and restaurant, his Petu reminds us of cases that populate the imaginary riverside. "Many students came to the South (Southeast). The men wore hats. The women were more behaved, but when the accordion began, everyone fell into the forró, "he says. On his first trip, his Petu was frightened. He could have died. "Because of the lamps, many insects flew there. The moth entered my ear, and in such desperation I almost jumped into the river. The captain held me and dripped alcohol to kill the beast, "he says. He usually amuses tourists with the case of the cook who liked boys from Ceará. "One day he went to the hammock where a young man slept, in second class. The boy pulled out the fishmonger and ran after him. The cook shouted, 'No, you will not kill me, Satan.' He managed to escape, but it was a mess, "he recalls. Great- grandfather of the master machinist João dos Santos, João Corujinha, who worked in the steam at the beginning of the last century, the current occupant of this position is Jason Batista Ferreira, 56 years old. With pride, he describes the operation of the ship. "The captain pulls the lever of the apparatus we call the telegraph and informs him of the gear he needs, what power he wants. Below, on the deck, I adjust the pressure and step the marches to reach this power, "he details. Jason is proud to follow in his great-grandfather's footsteps. "There have been a lot of important people around here. Former President Lula, for example. Former governor Francelino Pereira descended from Piauí to Minas Gerais on the Benjamim Guimarães. Then he came back to remember those times with us, he says. At the age of 92, The former governor still remembers those times. Made the journey at 22. "At that time, the Axis (Germany, Italy and Japan) torpedoed ships on the Brazilian coast. So I decided to go down from Piauí to Minas through the rivers. It was not a tourist trip. It was a victory. It took 40 days and it rained a lot, but we arrived safe and sound, "celebrates Francelino. 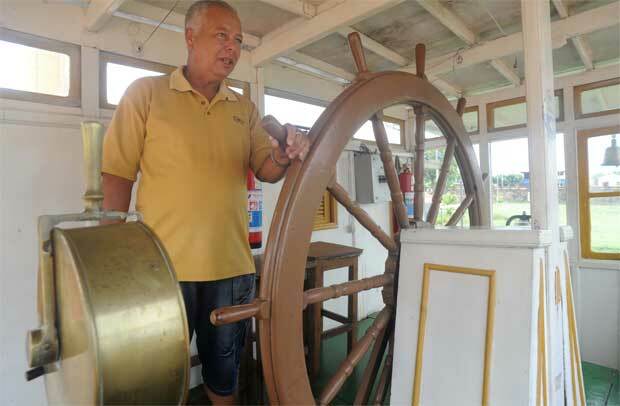 Several crew members of the Benjamim Guimaraes are relatives of former sailors and perform the same tasks as the men who worked there at the beginning of the last century, when the steam traveled along the São Francisco de Pirapora River to Juazeiro. The exodus from the Northeast to the Southeast, the transport of Brazilian troops to the Second World War and the formation of the lake at the Sobradinho hydroelectric plant in Bahia, were important historical incidents witnessed by those who practically lived on that deck. For Antônio Tadeu de Oliveira, 64, the most exciting part of the trip is the passage through the dangerous rapids between Sobradinho and Juazeiro. "It takes a lot of skill. If we hit a rock and rip the hull, we'll have serious problems. But that never happened, "he says. Still, the sailor admits: the holes in the hull are frequent, because the San Francisco walks very shallow. "If the diamond is small, we cover with wood and cloths. For the large we use even mattresses and wooden rods as anchors, "he says. The foreman, who had two cousins and an uncle among the pioneers of navigation in Pirapora, guarantees: in the landscape that is enjoyed along the São Francisco River, the stories of the past are still alive. In fact, they are among the reasons that made him retire from retirement and present himself in the steam. "The ancients tell the story of the jaguar jumped into the boat and hid in the basement. As the captain was disagreeable, at the time of killing the beast, the sailors seized the kerosene cargo belonging to him. It blew it all away," he recalls, as he looks out into the bush, where he still expects jaguars to emerge. 43.8 m in length, 8 m of mouth, 1.2 m of point, 9.25 m of contour. Maximum and minimum draft: 1m and 0.6m. THE "BELLE VENUE" IN MEMPHIS HAS AN EXTERIOR ENTRY THAT LOOKS LIKE A TRUNCATED STEAMBOAT STYLE WEDDING CAKE. AMONG THE PHOTOS ONLINE YOU CAN SEE THEIR FANCY VICTORIAN CEILING IN THE DINING ROOM WITH STEAMBOAT GINGERBREAD, BETWEEN THE CEILING AND "BULKHEADS," EVEN A "STERNWHEEL" AT THE REAR OF THE BIG ROOM WITH A PANORAMIC MURAL OF OLD MEMPHIS. 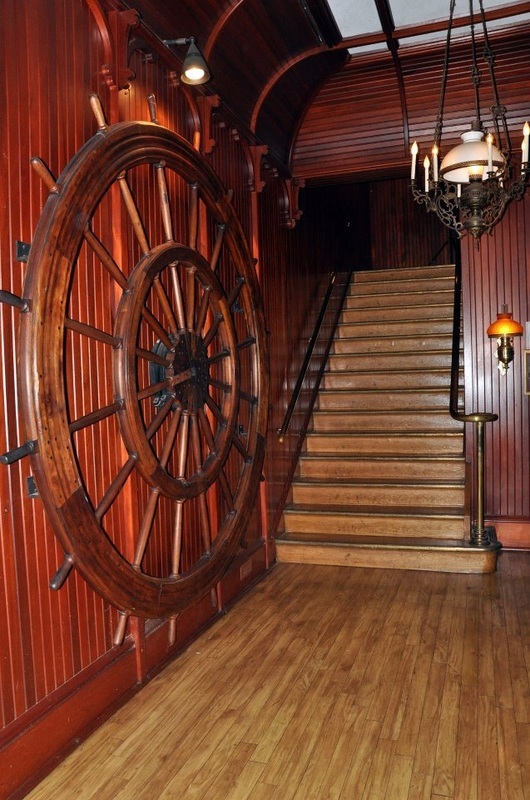 THE BEST THING THAT THEY HAVE IS WHAT HAS TO BE AN ORIGINAL DELUXE PILOT WHEEL IN THE ENTRY WHICH WOULD BE WORTH THE PRICE OF ADMISSION. "INSPIRED BY THE MAJESTIC RIVERBOATS OF THE MIGHTY MISSISSIPPI"
Looking for a unique facility for your next special event? The Belle Venue historical cruise themed event facility is the perfect place. This vintage ballroom with its majestic riverboat theme and historic elegant flair is a hidden treasure of the city. The riverboat themed facility was originally built in 1973. It was a hospitality venue as the Schlitz Belle and later operated as the Stroh's Belle and later Coors Belle which is now known as "The Belle Venue". The Belle ballroom emulates an elegant riverboat overlooking a hand-painted mural of Mississippi River boats from yesterdays. The hand-crafted ceiling, tables and chairs, along with antique chandeliers and wall-mounted sconces reflect a Riverboat Theme while offering an incredible river view. The historical landmark Grand Ballroom offers guests a grand facility for wedding, receptions, anniversary dinners, corporate events, galas, conferences, quinceanera, reunions, theme parties, proms, and more. This unique ballroom accommodates up to 250 guests. The Texas Deck holds up to 75 guests and is an excellent space for showers, corporate meetings, Anniversaries, theme parties, and networking events. The Belle provides historic charm, sophisticated elegance, and a location away from the crowded downtown area. This was taken from the Bayou-bound boat as we passed the NATCHEZ. The sternwheel was turning prior to departure with some touristas watching with rapt fascination. Attached 2 from the Oct '89 N'awlins trip. 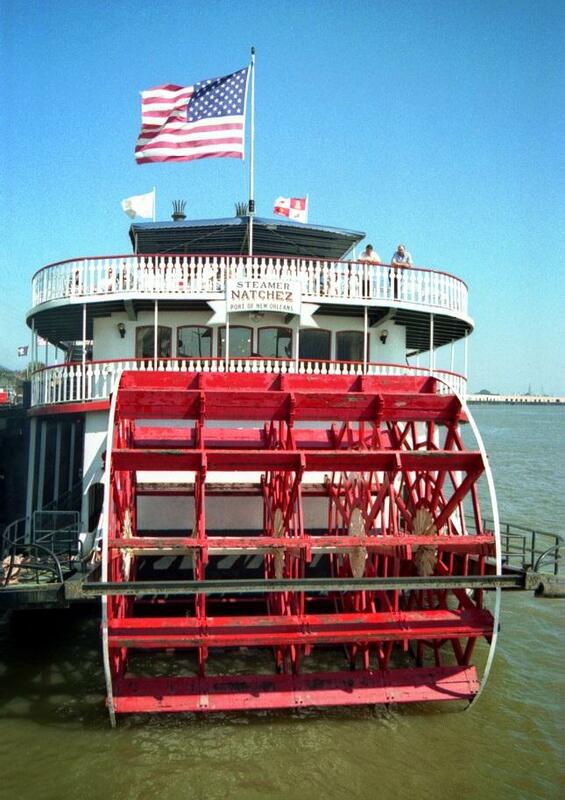 The one of NATCHEZ at the wharf was taken from a boat bound for the Bayous . . . thus the American flag flying lower left which makes the picture more interesting that it would have been otherwise. The stern view of the NATCHEZ came out pretty nicely by saturating the color in PPS7 which gives it the appearance of having been shot through a polarizing filter.